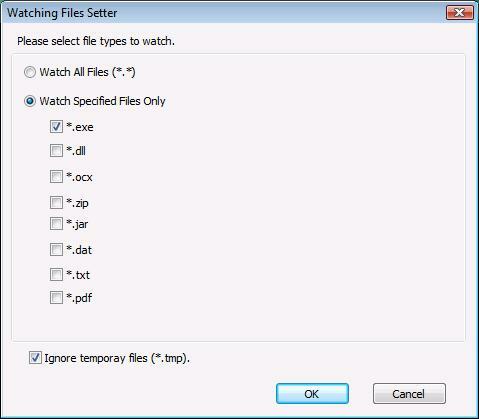 SolFolderWatcher is a Windows GUI tool to watch changes of a folder. See Figure 1. 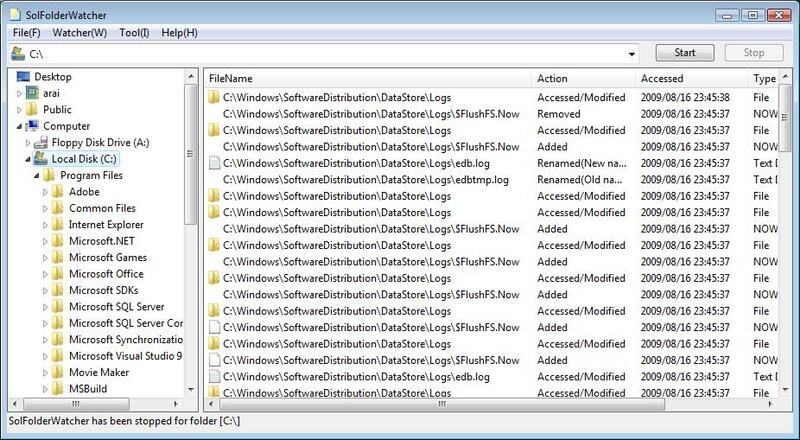 The well-known Windows ReadDirectoryChangesW API is used to watch changes of a folder. This tool can be used also to watch or spy changes in a remote, shared network drive or folder of other users. 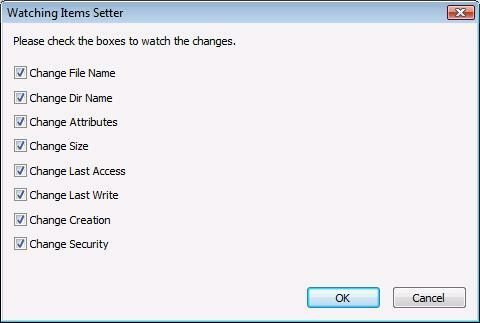 If you want to change watching items, please select [Tool] menu and set items in [Watching Items Setter] Dialog. Setter] Dialog. See Figure 3.
computer by something malware-like programs. 1. Run SolFolderWatcher program on your desktop, then a Windows Explorer like window will be displayed. See Figure 1. 2. Select a drive or folder to watch in the left treeview pane of the window. [Start] of a pulldown menu for [Watcher] menu. pane of the window. See Figure 1.
menu for [File] menu. A ConfirmationDialog to save will be displayed. See Figure 4. 7. To open a 'SolFolderWatcher Report' HTML file, select [Open] of a pulldown menu for [File] menu. in a WebBrowser. See Figure 5. Copyright (c) 2000-2012 Antillia.com ALL RIGHTS RESERVED.